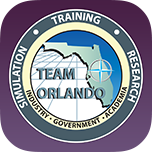 Personnel from the AIR 4.6.2.2 Rapid Design, Development and Fabrication Laboratory and the Department of Homeland Security Florida Law Enforcement Training Center were recently recognized with a 2017 Federal Laboratory Consortium (FLC) for Technology Transfer’s Interagency Partnership Award for their work together on highly immersive, mixed reality training technologies including the NAWCTSD Scenario Planning and Effects Control System (SPECS). 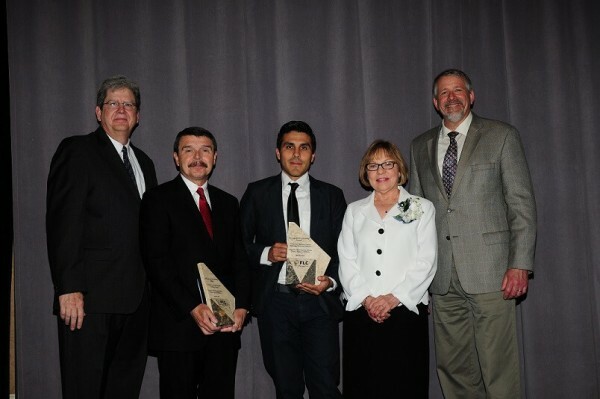 Dr. Nelson Lerma, NAWCTSD (center) accepted the award on behalf of his team. Pictured with him from the left are Dr. Mark Reeves, Oak Ridge National Lab, FLC Vice-Chair; Dr. William Norris, FLETC; Lerma; Dottie Vincent, Tech Transfer Program Manager, NAWCTSD; and Paul Zielinski, NIST, FLC Chair. 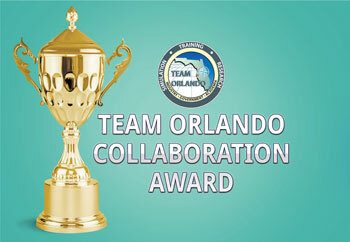 This national award is one of the Federal Laboratory Consortium’s highest honors, and recognizes the efforts of laboratory employees from at least two different agencies who have collaboratively accomplished outstanding work in the process of developing and transferring technology and knowledge. The NAWCTSD members that served on the winning team include Rocco Portoghese, Ryan Faircloth, Paul Barber, Richard Hebb, Matthew Adams, Courtney McNamara, Matthew Lankford, Nelson Lerma and Tyson Griffin. 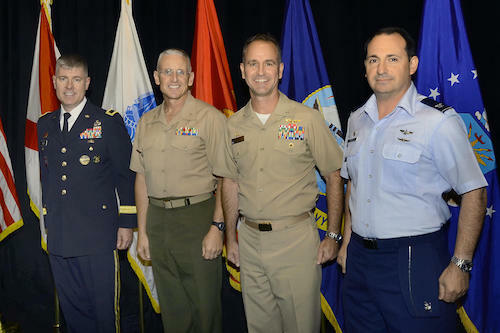 Tyson Griffin, head of NAWCTSD’s Advanced Modeling and Simulation Branch, credited Sunny Simmonds and Nelson Lerma for writing and submitting the nomination as part of the Command’s technology transfer mission. “A big thanks to Sunny and Nelson for making sure our Command and our people had the opportunity for this recognition,” said Griffin. The five Department of Homeland Security/Federal Law Enforcement Training Center staff members listed on the award are Elwin Collins, Jr., Dr. William Norris, Dr. Terry Wollert, Barbara Hernandez and Vance Fowler. Warfighters and law enforcement personnel alike are now more effective in the field thanks to the outstanding partnership between NAWCTSD and FLETC. The long-term collaboration between these agencies has created a remarkable track record of success, culminating most recently in NAWCTSD’s Scenario Planning and Effects Control System (SPECS). The SPECS is an extensible technology suite that puts the sights, sounds and smells of conflict in the hands of training instructors, allowing them to create highly immersive environments. Statistics have shown that the more exposure law enforcement and military personnel have to such realistic stressors, the better able they are to quickly make effective decisions on the battlefield or on the streets. 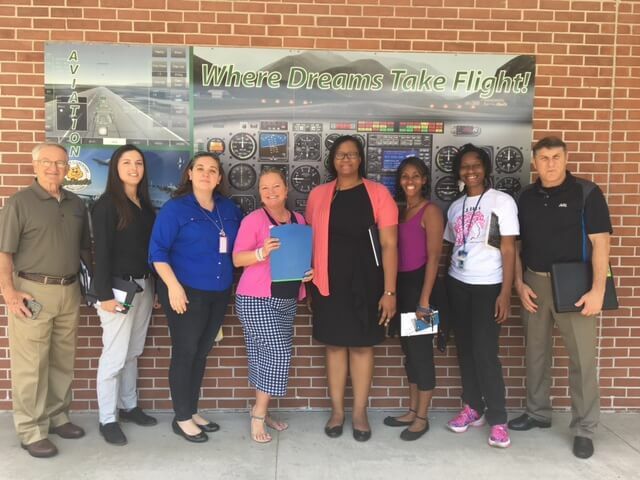 A very proud NAWCTSD team that worked with the FLETC team on SPECS. According to FederalAwards.org FLC Southeast Region Awards Gallery, SPECS was developed through a series of interagency agreements beginning in 2009 and continuing today. Several iterations have advanced the software to make it a powerful technology. Its sound system allows instructors to select sound effects from multiple sound libraries and, with a right-click of the mouse over a two-dimensional map, they can prompt the system to automatically mix sounds and select the correct speakers and amplitudes needed for the scenario. The system also provides the ability for smell generation and after-action reviews. The award description cites that almost all law enforcement training scenarios are instructor-led, so SPECS was designed to support instructors as operators, as well as to be accessible by a range of instructors with a range of skills. It combines government and off-the-shelf assets to make it cost-effective and sustainable. SPECS’ scalability adapts to law enforcement training facilities consisting of one or two rooms to military tactical training areas that spread across miles. SPECS is operational within numerous immersive and mixed-reality training environments, including FLETC’s Performance Assessment Laboratory, the FLETC Intermodal Training Facility in Glynco, Georgia; the state of Pennsylvania’s Northeast Counter Drug Training Center (NCTC); and several U.S. Navy and U.S. Marine Corps facilities. Since 2013, more than 100,000 law enforcement personnel and tens of thousands of warfighters have participated in the immersive training. 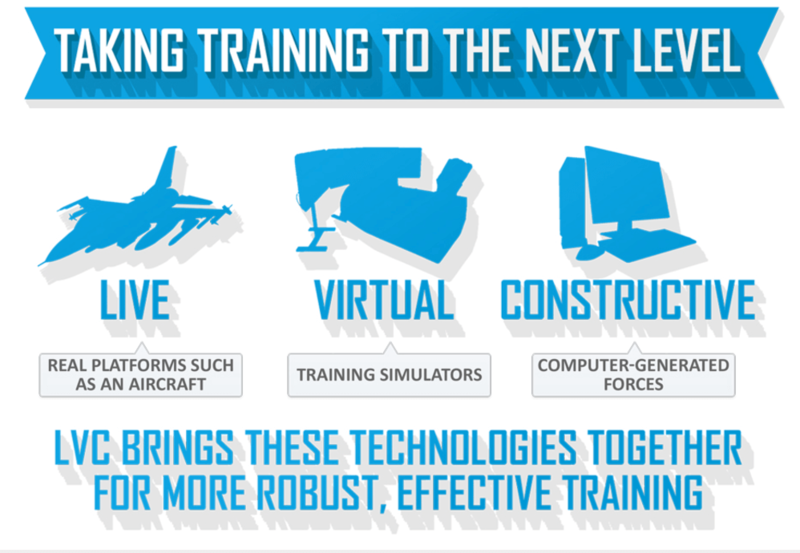 SPECS is also a component of the U.S. Army Live Training Transformation architecture.